Who wouldn’t want to show off a perfectly aligned smile? Whether your teeth have grown in crooked, shifted out of place over time or you’ve been thinking about getting braces for years, K&R Dental offers orthodontic solutions to straighten your teeth. You don’t have to spend a fortune to achieve a straight and beautiful smile. With the Inman Aligner, which is used worldwide, you can get an aligned smile in just 6-18 weeks. Gentle pressure is used to carefully and safely move your front teeth into the desired position. One of the greatest benefits of the aligner is you can remove it before eating or attending a special occasion or job interview. 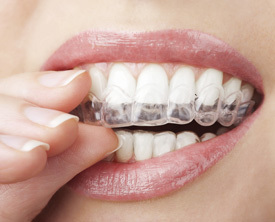 It’s important to note, however, that you must wear the aligner for up to 20 hours a day to get full benefits. Compliance is key! Have you felt too self-conscious to smile due to crooked, gapped or misaligned teeth? Perhaps you wanted to get braces when you were younger but never got around to it. Thanks to the orthodontic treatment at our dental practice, you can get the smile you’ve always wanted. Our simple orthodontic options are ideal for teens and adults alike. When you have a straighter, more attractive smile, you will likely experience increased self-confidence. You can enjoy a higher quality of life and perhaps greater success in your personal and professional life. Some health funds may cover your orthodontic treatment. If yours does not, zipMoney offers convenient payment plans. You can spread out the cost of your treatment over a 24-month period, interest-free. 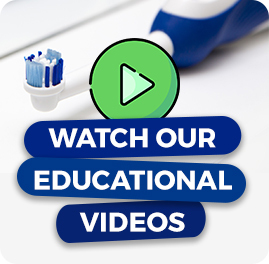 Find out more about getting the smile you’ve always wanted. Contact our team today to arrange your initial consultation!